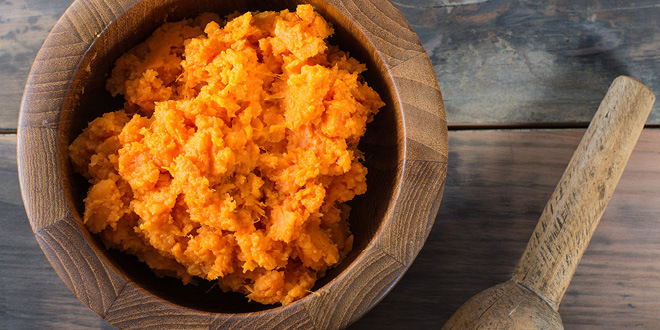 While the sweet potato is still hot, place it into a bowl. Heat the coconut milk and add it, plus the salt to the bowl. Mash the potato mixture well until it is smooth.